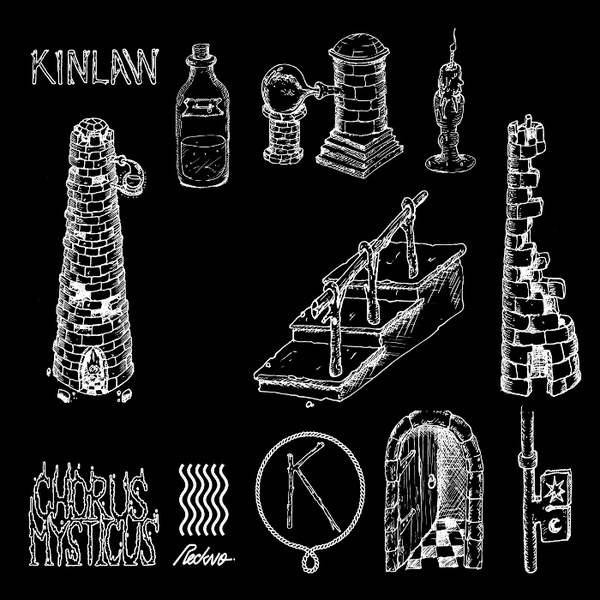 Really excellent bit of R&B-filtered beat music and H-Pop electronics from a fella called Kinlaw on the increasingly ace Reckno label. 'Chorus ✝ Mysticus' appears to be his debut proper and slots somewhere in that haze of tape and ganja that Hype Williams, DJ Screw, KGB Man, Dem Hunger et al inhabit. You know the sound; slompy, burred beats cushioned to cassette, letting his mind slowly ooze out in a dreamy stream of consciousness that really suits the cog-turning mechanics and aesthetics of his chosen format. It's actually freakishly good, the beats knock with some proper fuzzed out deep southern pressure and the melodic ideas are deliciously lo-fi and richly emotive: REEL! Not to be missed!